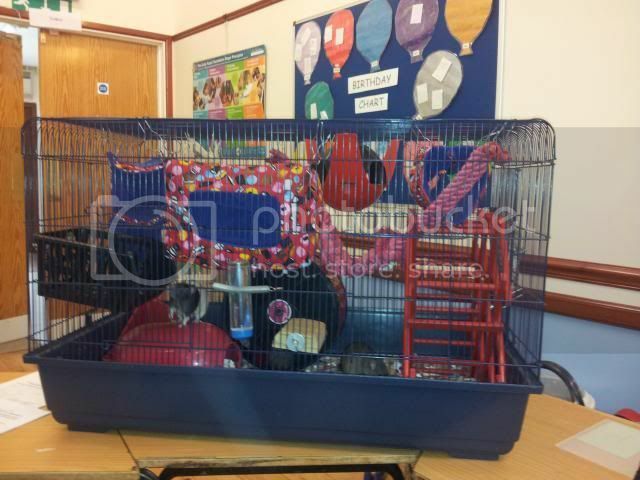 100cm wide cages - Mamble, Monte Carlo, etc. 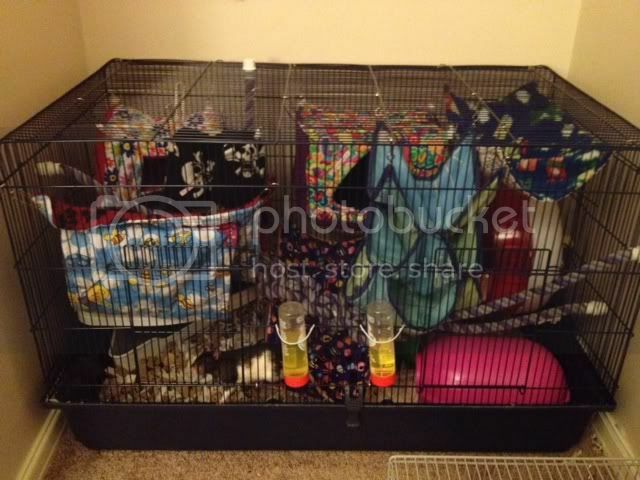 Share pictures of your cages, rat rooms, free range areas and such like. 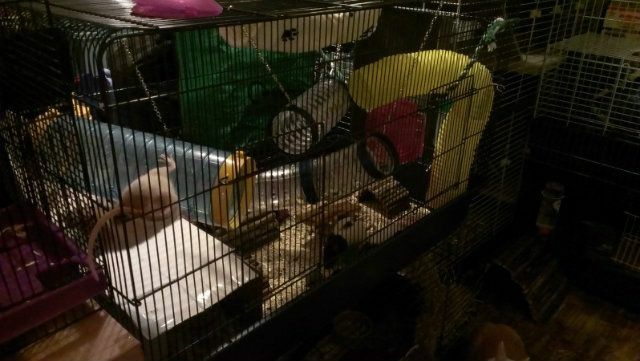 I bought a Mamble cage a few weeks ago and have currently got some rescue boys living in it. 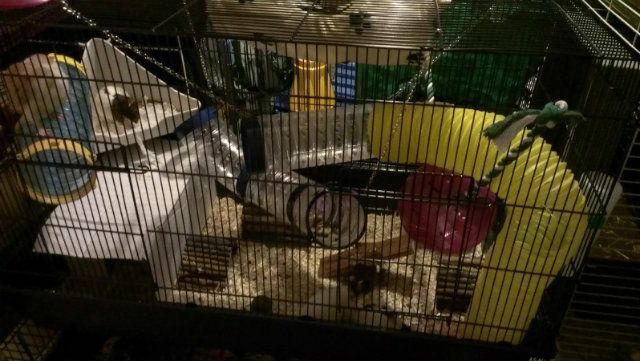 Thought I would share my current set up/experience with this cage as I don't know of anyone else who has one. Cid, Wilfried, Tom, Puck, Chip and Franklin. Sammy, Rascle, Merry, Pippin, Ben, Jack, Bilbo, PJ, Willow, Zephyr Rufus, Napoleon, Zephyr Merlin, Boromir, Faramir, Zephyr Kipling, Zephyr Orwell, Herbert, Zephyr Roger. Soon to be getting 2m length bendy rope to fill inside as it is pretty bare inside. I didn't put the shelf in as I don't like shelves and it's huge!! 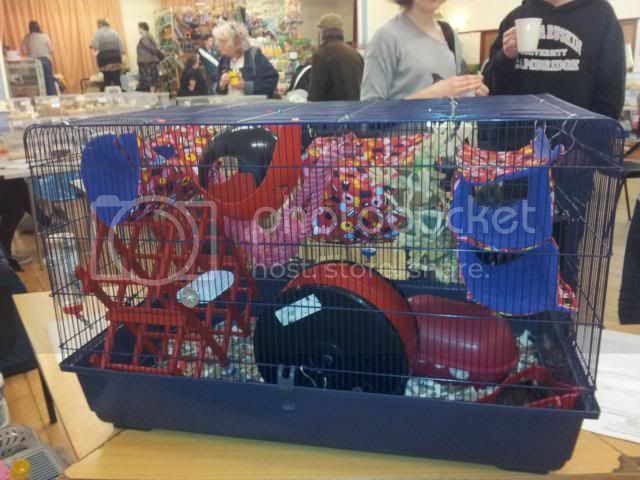 Ratties: Betty, Wilma, Matilda, Cherry, Olive, Arabella, Milly, Pumpkin, and Zephyrs Pebbles, Keme, Iris and Rose. Bunnies Bea, Bugsy and Chestnut Guin pigs Cookie, Mickey and Storm. 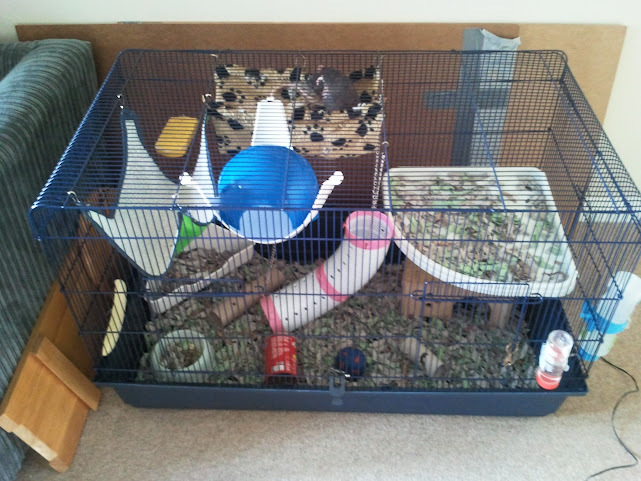 I have a Mamble as a spare cage and I'm currently using it for intros - which is why there are no roofs on the sputniks! 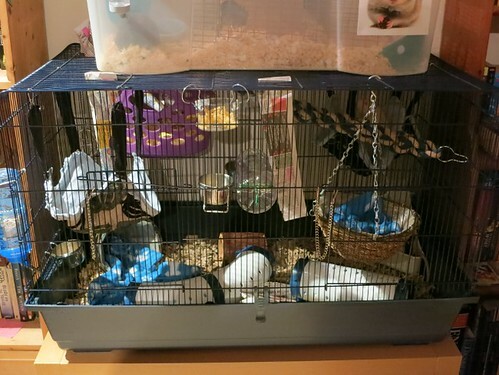 The first half way decent setup I've managed to create in my Mamble, now that the rescues are settled in and I've built up a proper stash of accessories! 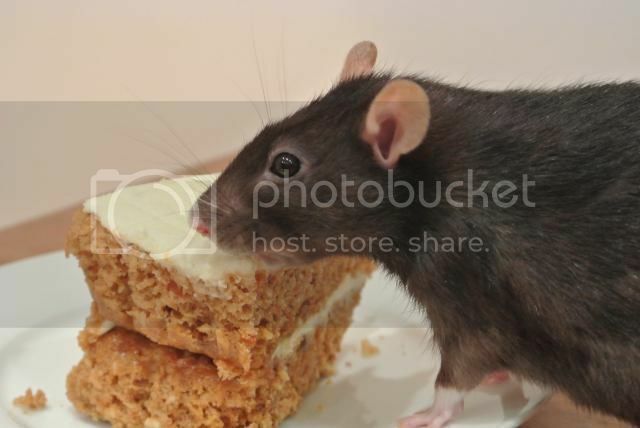 Pepper, the rat who made me love rats; Salt the 30 month rescue boy. Handsome Magnus. 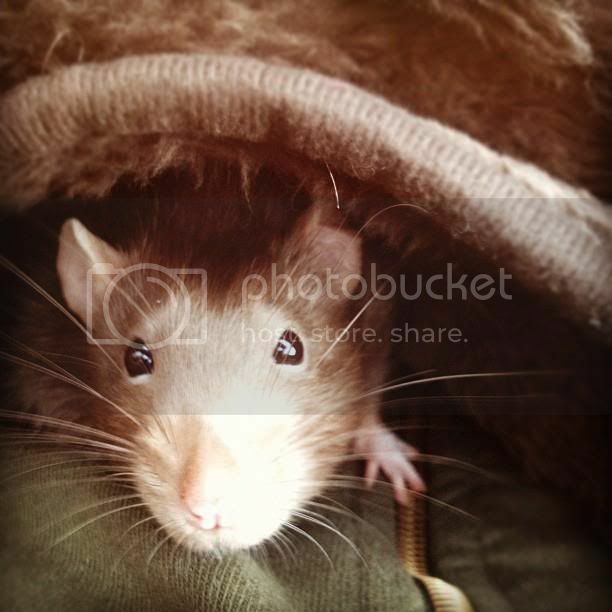 Rigel, my loving boy. 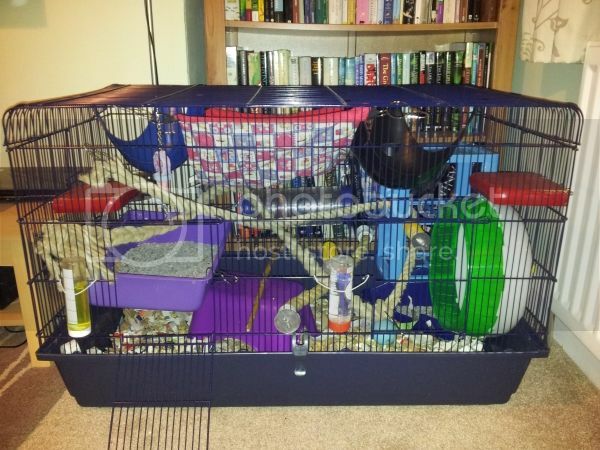 This is my Liberta Rivera Monte Carlo Cage, I think it's designed for chinchillas (measures 100cm x 60cm x 90cm). I currently have 3 neutered bucks in here, but I think it can hold up to 9.